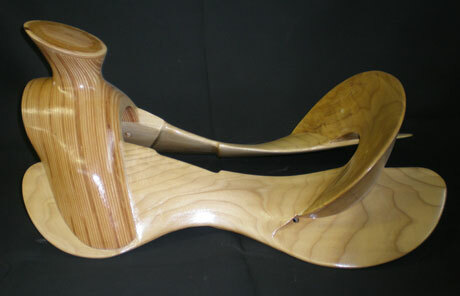 Saddle Trees are the most important aspect of the saddle. It is what insures the proper fit of the horse, balance of the rider, and overall strength of the saddle. Here we will show how we accomplish these three concepts. 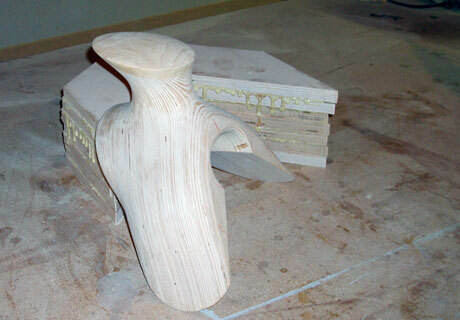 Our trees are made from Yellow Poplar and laminated Baltic Birch. This wood is very clean and void of any knots. The grain is fibrous and intertwined so it makes it easy to work with and makes it stronger so it will hold the tree's shape. 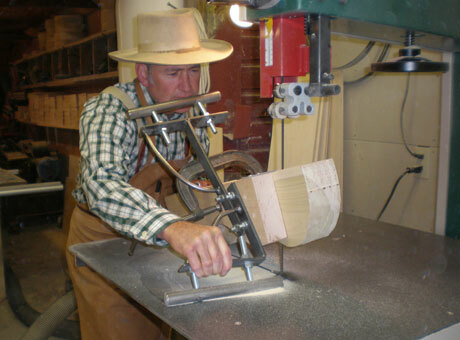 Kent uses a jig to cut his bars to insure a proper angle. Both sides of the bars need to be shaped. Showing is the top side of the bar where the rider will be sitting. 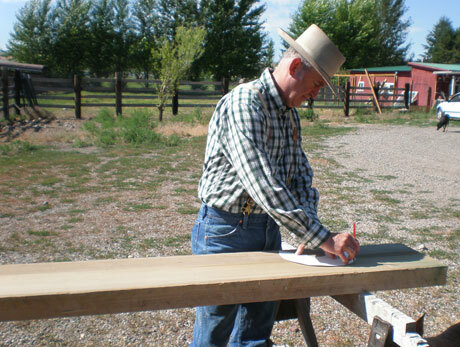 Kent is hand rasping it to guarantee the balance points are correct. 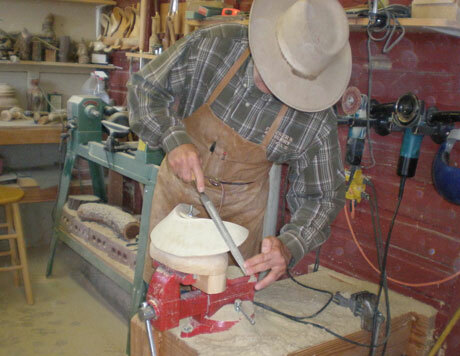 After using his pattern to shape the bottom of the bars, he sands a smooth finish making sure there aren't any bumps. This is the part that is in contact with the horse. 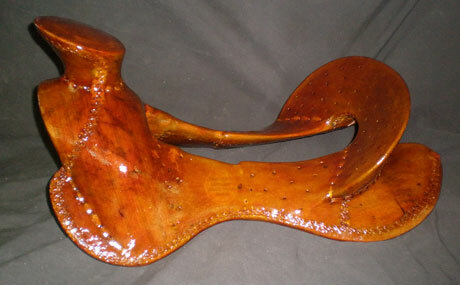 The front of the saddle is referred to as the style. Kent is shaping a Wade style front. 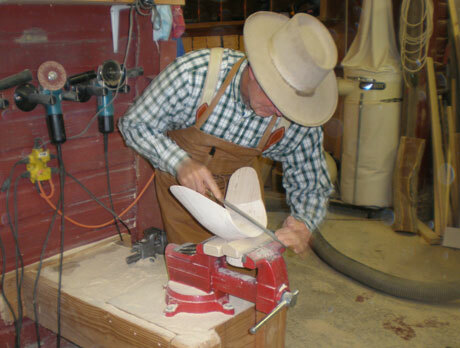 The horn is very important when it comes to shaping; tapering it correctly so the dallies will stack properly. In this picture, Kent is working on the gullet giving it a smooth transition to the bars over the wither. 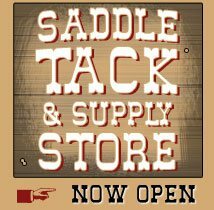 Next comes the cantle. 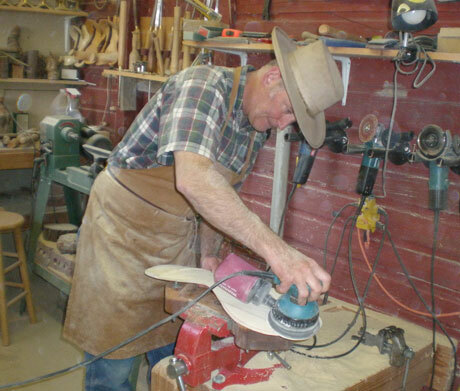 Kent is shaping the dish in the cantle where the rider will be sitting. Here is the back of the cantle. Kent prefers to have a straight and smooth appearance. This shows a finished set of bars. In the background are the blocks of wood he starts out with. 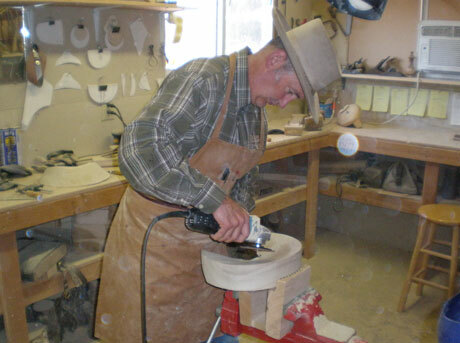 The bars and the cantle are made from Yellow Poplar. 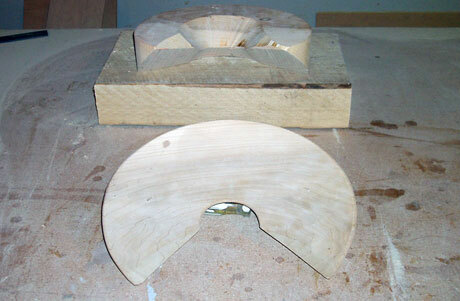 Now we are looking at a finished cantle and a block of wood that is required for it. Here is a finished front. 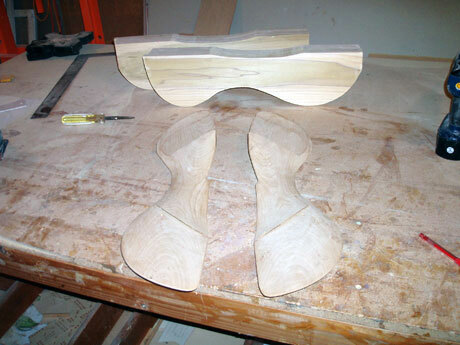 Behind it is a block of laminated Baltic Birch which is used when making. 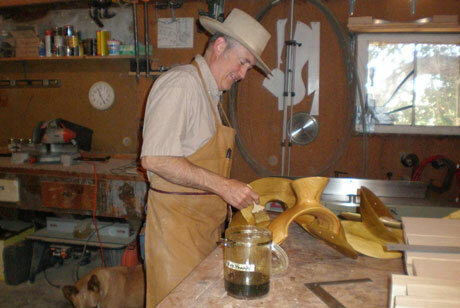 After the tree is assembled, two coats of polyurethane are applied to protect against the wet rawhide. This tree is ready for rawhide. Over 10 pounds of wood is cut away in the process of making a tree. Kent only uses bull rawhide when he rawhide our trees. 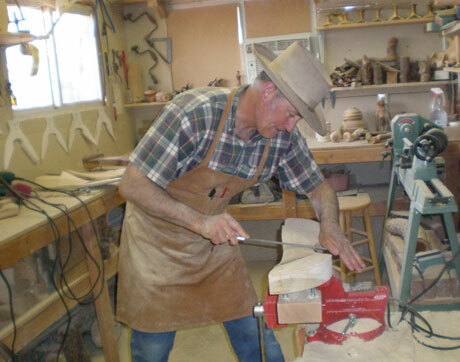 Bull rawhide is denser than cow, adding even more strength to his trees. 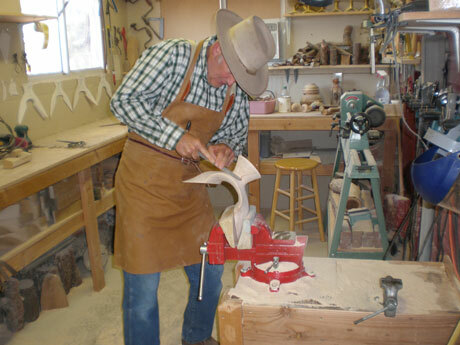 Here Kent is, draping rawhide over his tree. 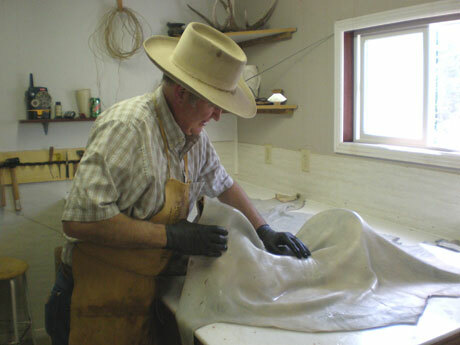 This shows how thick the bull hide is that we use. Then we begin to cut and shape the rawhide to the tree. We stitch difference parts to make the form. 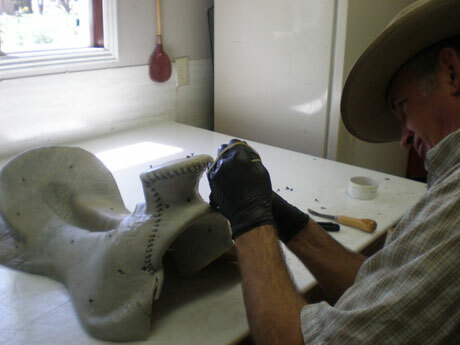 In this picture, Kent is stitching the horn. Now he is stitching the bars. 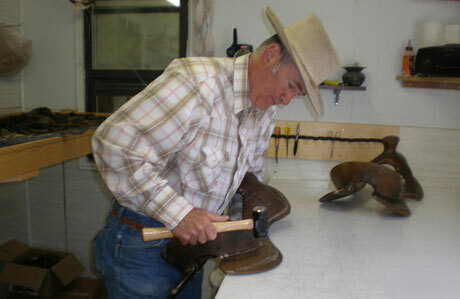 Later nails will be placed in the cantle, bars, and horn which will allow the rawhide to dry close to the tree, insuring an even tighter fit. 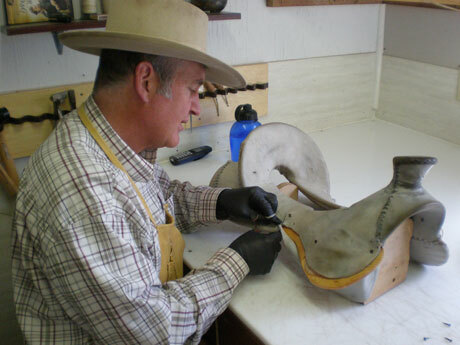 As the rawhide dries, the laces need to be tapped on daily. This gives a smooth finish to the lacing. Finally we apply two coats of Shellac to protect the rawhide. 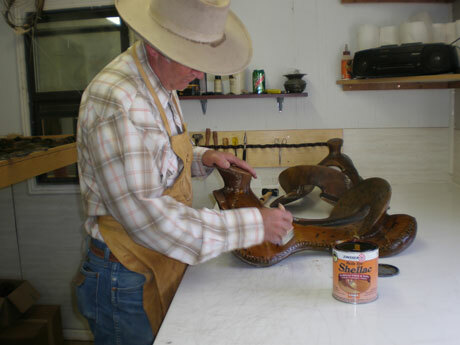 We use Shellac verses polyurethane because Shellac is a natural finish and the glue will adhere to it. It is made from the resin the female lac bug secretes while feeding on tree sap. On the other hand, polyurethane is a petroleum based product and the glues just goes gummy when the two come in contact with each other.